The Tableau Foundation, set up in 2014, helps organizations that address issues such as poverty and global health. The Seattle company, which develops visual-analytics software, has distributed $30 million from its Tableau Foundation since it was set up in 2014. The donations have come in the form of grants, software and assistance from Tableau employees to nonprofits and other organizations that focus on global health, poverty, climate change and other human-rights issues. Some of that money went to Seattle global-health nonprofit PATH to help the government in Zambia fight malaria. Tableau donated $1.8 million worth of cash, software and training that allowed field health workers to keep track of disease outbreaks. Under PATH’s partnership with the Zambian government, cases of malaria have been cut by 80 percent in the country’s Southern province, and the program will expand nationwide soon. The Tableau Foundation has been funded by an original $20 million endowment from the company’s founders before Tableau went public. The company plans to add $25 million to that, as well as donate tech resources. The foundation is now led by Neal Myrick, a former program management director at the company who stepped in to run the foundation when it launched. Tableau CEO Adam Selipsky, who announced the $100 million commitment at the company’s annual conference in New Orleans on Tuesday, acknowledged that technology cannot be the sole tool used to treat the world’s big issues. 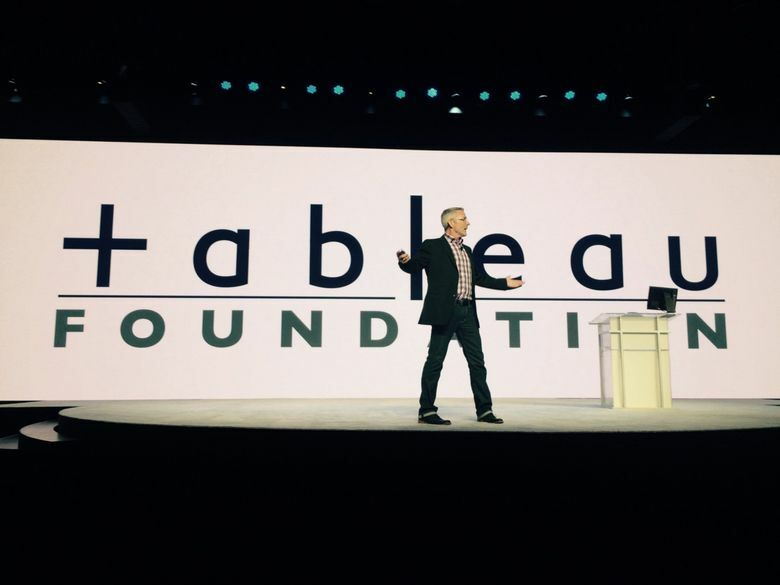 Much of Tableau’s donations come in the form of technology licenses and expert help to show organizations how to best use its technology, Selipsky said. Correction: This story was originally published Oct. 23, 2018, and corrected the same day. The original version had an incorrect percentage for the reduction of malaria cases in Zambia.